Kuwait – Beyout Investment Group and Kuwait Resources House experienced a uniquely successful team building event with Vigor Events at the Hilton Hotel on November 6th 2016. 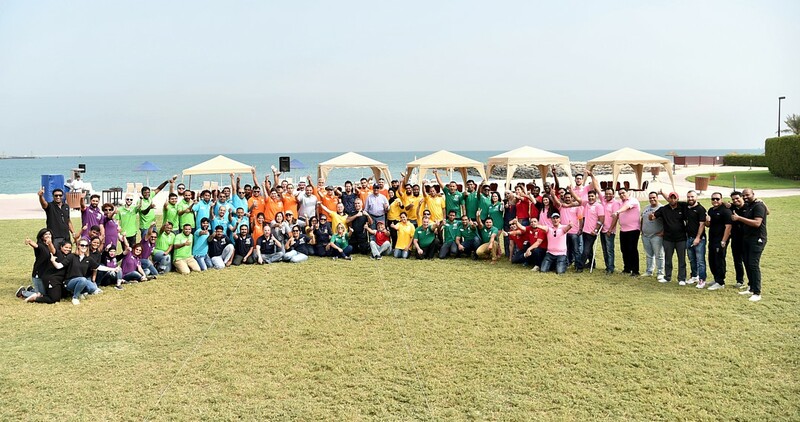 Focused on employee engagement, the event aimed to leave 80 enthusiastic employees with a valuable team building experience and team work spirit. The employees participated in a set of a team strengthening exercises through which teams became more connected and associated by the end of the day. The designed exercises emphasized the importance of the element of togetherness and that no matter how good one employee performs, a team will always achieve more.